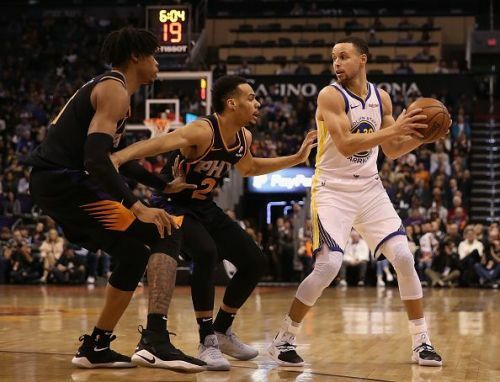 The 10th last home date of the Golden State Warriors tenure at the Oracle Center, in Oakland California, will be as host to the Phoenix Suns. As of next season, The Golden State Warriors will play out of the new Chase Center across the San Francisco Bay in San Francisco California. The Warriors, the defending NBA Champions, are this season’s best team in the Western Conference at 45-20. This Sunday evening contest will be against the worst team in the Western Conference the Phoenix Suns. For the moment, the Warriors are a strong 24-9 when playing at home but are 5-5 in their last 10 games. Questions surround the Warriors as far as what will their roster be like after July 1st, 2019. Kevin Durant could leave this summer, Klay Thompson is also a free agent and DeMarcus Cousins' one year deal expires as well. A hefty luxury tax bill due to cripple their payroll flexibility due to repeatedly being over the luxury tax payroll level will also be an obstacle to this splendidly talented franchise continuing as is. However, until then, this game against the Suns is one of 17 regular seasons games left this season and 4 rounds of playoffs separating the Warriors from a potential 4th NBA Championship in the last five years. As for the Phoenix Suns, they own the NBA’s second-worst regular season record at the moment this season. The Suns are playing to draft either Zion Williamson or R.J. Barrett both potential 2019 NBA draftees from Duke University. The bright spot for the Suns is the play of SF/SG-Devin Booker and C- DeAndre Ayton. The Suns are 5-28 on the road, 4-6 in their last 10 games but have won 3 in a row. The Suns have beaten the Lakers, Bucks, and Knicks leading up to this road game against the Warriors. The Phoenix Suns will be playing Sunday night after a Saturday night road trip to Portland to play the Trail Blazers. The Phoenix Suns will likely start Tyler Johnson and Devin Booker at the guard positions. DeAndre Ayton will start at center and expect Dragan Bender and Kelly Oubre Jr. to round out the frontcourt at the forward positions. 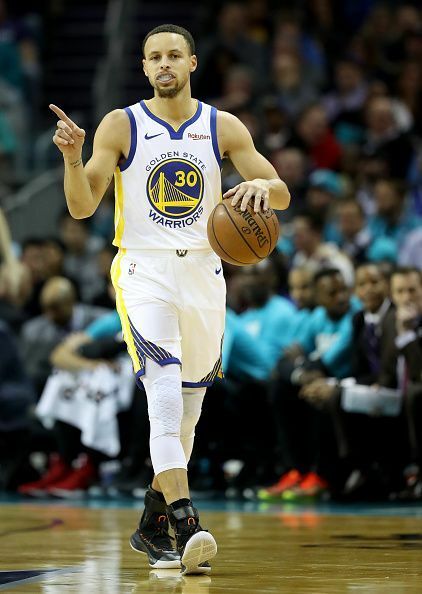 The Warriors who will be at home resting having last played and beaten the Nuggets Friday night will mostly like start Stephen Curry and Klay Thompson at the guard positions. DeMarcus Cousins will be the starting center and the forwards will be Draymond Green and Kevin Durant. The Golden State Warriors are the defending Champions for many reasons. While this season has been somewhat quiet from them, they currently hold the best record in the Western Conference. Since they won the NBA Championship back in 2015 they probably have the best center since their rise to championship status in DeMarcus Cousins. He is averaging 25.3 minutes per game since returning from a torn Achilles tendon. If he stays healthy, he provides the Warriors with an interior game that’s solid at both ends of the floor. In his 18 games this season he is averaging 15.3 ppg and 8 rpg. In addition to Cousins’ interior presence, there is the deadly long-range shooting that the Warriors are famous for. As a team, the Warriors shoot 38% from long range on about 34 3-point shot attempts per night. The Warriors also rank second in points scored at 118 per game. In addition to all of this, the Warriors are 1st in the NBA averaging over 29 assists per game. If the Warriors are focused in this game the Suns could be in trouble. In comparison, the Suns are 23rd in the NBA in scoring averaging just 106.7 ppg. The Suns are also the worst team in the NBA from long distance shooting just 32.8%. The Suns will need to defend the 3-point arc in this game but they have one major problem. The Suns give up 115 plus points per game so defending will be a struggle to maintain consistently. 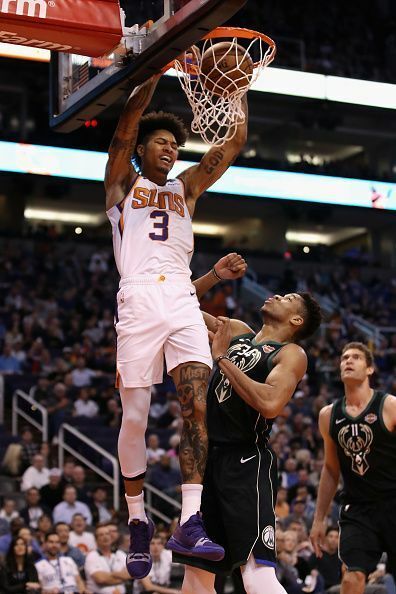 Its a bad combination considering the Suns' inability to rebound the basketball averaging just 31 defensive rebounds per game and giving up 11 offensive rebounds. 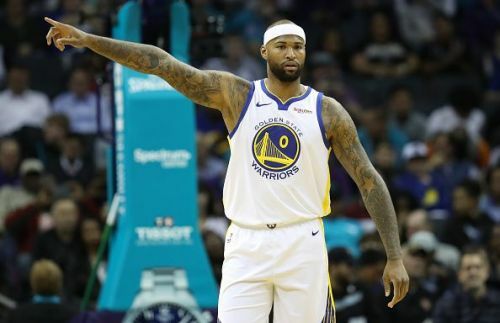 The Suns will need to gang rebound against the Warriors but Cousins alone is going to be hard to handle around the basket. In any event, the Suns do not want to give the Warriors second and third opportunities to score. Another area of concern is turnovers. Devin Booker averages 24.9 ppg, 6.6 apg, but he averages 4 turnovers per game. The Suns, as a team, average 15.7 turnovers per game for 29th in the NBA. This match-up could go one of two ways. Either the Warriors lose because they are disinterested waiting for the playoffs to start or the Suns get blown out. The Warriors do dominate opponents when playing at home and can light up a scoreboard quickly and often. When you combine these elements with the Suns continued turnover problems and their weak record on the road expect the Warriors to win this contest by 15 or more.